Calligraphy is often defined as ‘the art of beautiful writing’. It comes from the Greek words kallos (beauty) and graphe (writing) and has been used for centuries to herald and record important events. There are hundreds of styles of calligraphy and just as many uses for it. Whether it’s choosing a poem or a reading for a service, or expressing our feelings in a card, there’s a heightened sense of the significance of the words we share. 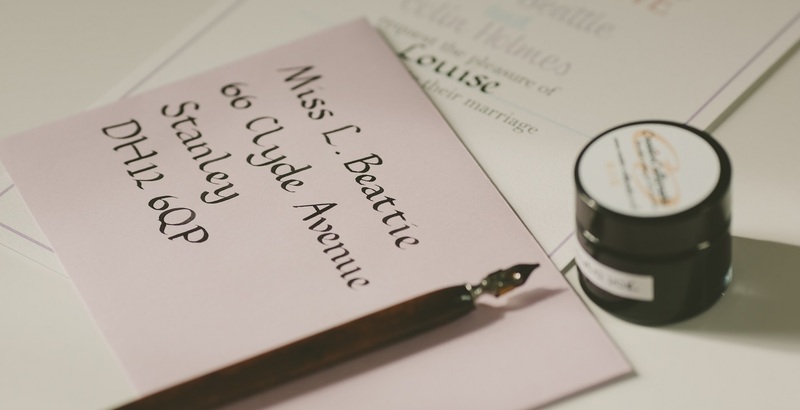 So these occasions offer a perfect setting for Creative Calligraphy’s beautiful writing craft.